What will the world look like in 2039? 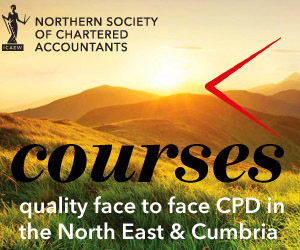 As part of the ICAEW BusinessFutures project, this news bulletin highlights the issues that businesses will face over the next 25 years. We know demand for water will increase. We know more people will live longer. We know government debt will grow. We know the global race will be won by best-educated workforce. What we don’t know is how individuals, businesses, governments and countries will react. The ICAEW BusinessFutures project develops insights on these trends so we can go on offer suggestions for making the most of them — or avoiding their worst impact. The video clip above introduced the ICAEW BusinessFutures report at the International Festival of Business which was held in Liverpool in July 2014. ICAEW BusinessFutures is a new long-term project looking at the potential changes to the business environment over the next two or three decades. This will affect businesses across the UK including those in the Northern Society area in the north east & Cumbria. You can read more at icaew.com/businessfutures and join the ICAEW BusinessFutures LinkedIn group.